In today’s blog post, we aren’t sharing a recipe, but I intend to address an important question often posed on different forums, comment section of my blog and YouTube-How to perfectly boil an Egg? At the onset, I must admit, this is going to be a long post. So without further ado let’s begin. While I was interning from JW Marriott-Pune, I was often posted at buffet breakfast counter and my duty started at 6.30 AM in the morning. Of the 15 different counters serving a wide array of dishes, intriguingly two counters would witness a maximum rush. Quite possibly, you must have guessed it by now and guessed it right. These counters would serve-Dosa preparations and Egg Preparations with the later one being the more popular of two, which is why often a Chef at the counter who was unable to keep up the pace had to lend his patient ears to grumblings from guests. Worldwide, egg is one of the popular choices for breakfast. Egg Preparations are a default choice for those who never cook, owing to several easy and quick preparations that can be made with Eggs. In fact, in a country like India, where diversity is practiced in every walk of life and diverse food choices is an accepted norm, there is a unique subset of people amongst those practicing vegetarianism- namely Eggetarians. These are people who broadly practice vegetarianism but won’t mind eating egg preparations too. 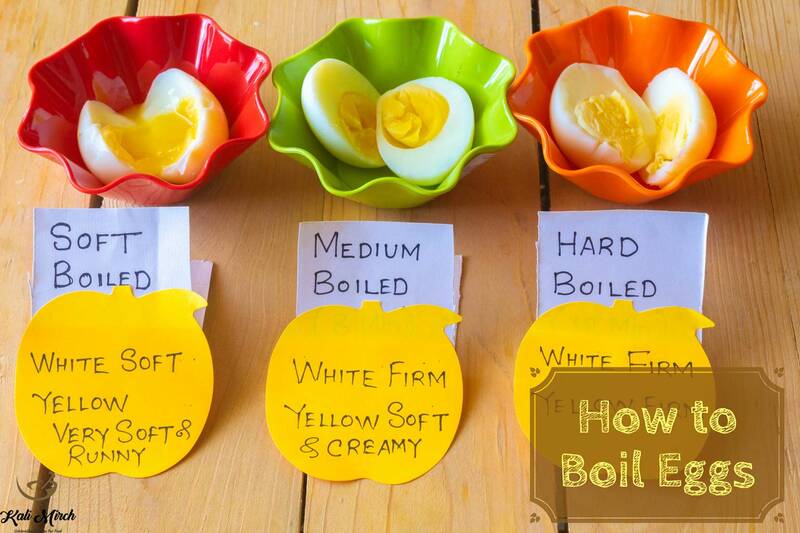 Folks who are accustomed to eating boiled eggs on a daily basis in their breakfast, I wouldn’t blame you, if you are pondering over the title of this blog post and wondering what level of expertise does it take to learn to boil an egg. It’s such a mundane task that does not even require any kind of attentiveness. I would have had concurred with you until few years ago. However, it all changed during my learning days at Manipal. During my first semester, we had a whole chapter dedicated to ‘Egg Basics’ in our reference book- ‘Practical Cookery’, authored by trios David Foskett, Victor Cesarani and Ronald Kinton. Another book which discussed in great detail about eggs is ‘Food Production Operation’ by Chef Parvinder Bali. These books have attained a significance of being a Bible of an aspiring Chef. If field of Cooking excites you and if you wouldn’t mind some in-depth reading, then go ahead and procure those two books. You would be in for some fun-filled reading. My Culinary knowledge was enhanced at Manipal and later at Hotel kitchen and I learnt how critical it is to learn about ‘Egg basics’. We have uploaded over 18 Egg Preparations on our channel and blog and a query that has been posed to us more often than others is – “How often do we boil eggs?” or its variant- “Did we use soft boiled, medium boiled or hard boiled eggs in the recipe?” and the answer is it depends on your personal taste and needs. To explain this, my 10-year-old nephew who pays us a visit often asks me to make creamy Egg mayo sandwich for which I like the eggs medium or soft boiled. On the other hand, when his parents sit down with us in evenings for a conversation over few drinks, I serve them ‘Chakna’ in form of Egg pakoras of Hard Boiled Eggs. Today I dedicate this blog post to all my viewers and readers who love to eat eggs and this post will surely help you to enjoy eggs while keeping their nutritional values intact. Always select fresh eggs, do remember to check packaging date and expiry date too. While using, discard the cracked eggs, if any. Check the egg yolk as soon as you break open it. It should be yellow and even colored and firm. The runny or flattened yolk tells you that eggs are old. Place the egg in a bowl of water. If the egg lays on its side at the bottom, it is still quite fresh. If the egg stands upright on the bottom, it is still fine to eat, but should be eaten very soon, or hard-boiled. If the egg floats to the top, it’s past its prime, and not good for eating. This happens when eggs are quite old. Egg shells are porous, over the period water in the eggs evaporates and replaces by air. This makes the eggs more buoyant and they float on water. Eggs are eaten by almost 80 % people in the world for breakfast. At restaurants buffet counter we would get very specific demands for boiled eggs. To cater to those requests, restaurants use egg timers to correctly identify different stages of egg boiling and ensuring that we do not ruin the eggs by over boiling it. And there are two methods to boil eggs. In first method, water is heated till it reaches to simmering boil (and not rolling boil), then drop the eggs in the water carefully. If the egg is submerged in that simmering water for 3 to 5 minutes then its soft-boiled, for 7 to 8 minutes then its medium-boiled and for 10 to 12 minutes then you would get perfectly hard-boiled egg which pleases Indian appetite mostly. Here’s a catch- eggs should or rather must be at room temperature before dropping them in simmering water. If they have been refrigerated, then wait till they reach to room temperature. I did a blunder in my initial days of cooking when I dropped an egg which was quite cold in simmering water, and it cracked open, ruining the with white & yellow swirls. I personally, however prefer the other method to boil the eggs. It’s just me personal preference. Here’s the alternate method. Take a vessel big enough to hold the eggs comfortably and fill it with water till all eggs get submerged (say 1 inch above the eggs). Add salt and vinegar to the water. Addition of salt and vinegar is completely optional. But they provide additional shield to the egg shells and prevent them from cracking. Put the vessel on medium heat, don’t be in hurry to keep them on high flame. Cover the vessel and wait till water comes to a boil. For this video, it took me 5 minutes for water on medium flame to come to a boil. It varies depending upon the gas range, egg size and egg temperature too. Once the water reaches to boil, switch off the flame and keep eggs covered in hot water. Meanwhile, keep a bowl of ice-cold water ready to refresh the eggs. I would explain later what the term “Refreshing Egg” means. If the egg sits in hot water for 3 to 5 minute then its soft boiled, for 6 to 8 minutes then medium boiled and for 10 to 12 minutes then its hard-boiled egg. This was all about boiling eggs. Now let’s go a step further and check about ‘refreshing the eggs’. Refreshing eggs is a culinary term in which the boiled eggs are dropped immediately in ice cold water to stop their cooking immediately. If you fail to do so then egg continues to cook further and you won’t get a perfectly boiled egg as you need. Overcooking eggs will release the iron in yolk and Sulphur compound in egg white and form a greenish ring around the yolk and such eggs are unappealing. However, there is no harm in eating this kind of cooked egg. Also allowing the eggs sit in cold water for atleast 10 minutes helps loosen the egg shells slightly and it’s easy to peel them off without a mess. This write-up could not be ended without mentioning about the culinary usage of these eggs. Soft-boiled eggs have soft white and runny yellow and you can apply it on your toast with pepper and salt. Medium boiled eggs are perfect for sandwiches, salad or just to complete your protein requirement after a heavy workout in gym as they have firmly set yet soft white and soft and creamy yellow yolk. As Indians, we love our egg gravies, biryani, Anda masala and Pakodas and hard boiled eggs are perfect fit for it. Hardboiled egg has firmly set white and yellow both which makes them an ideal choice for Biryanis and gravies. Putting boiled eggs in cold water stops the process of cooking. Overcooking eggs forms a green ring on yolks. Egg yolk is a rich source of Iron and Sulphur and this greenish ring is ferrous sulphide ring formed due to over cooking. Filed Under: All recipes, Egg recipes, How To?